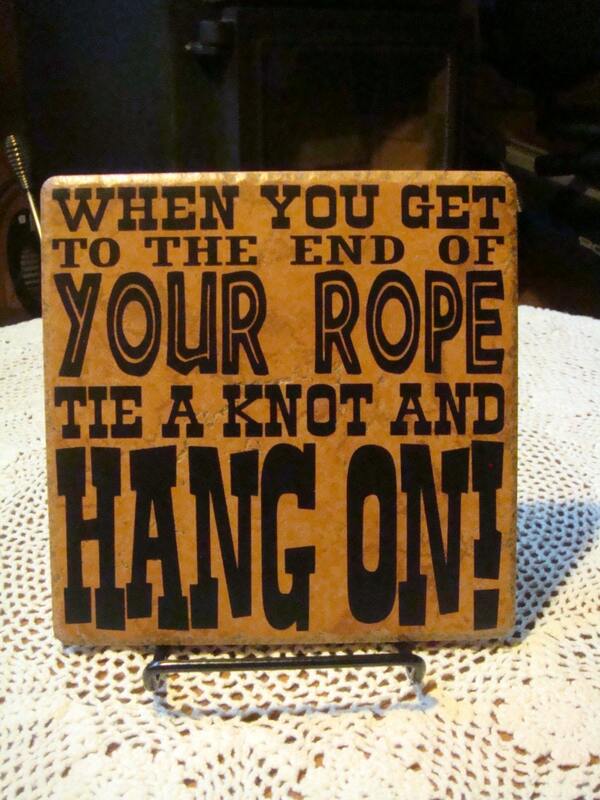 When you get to the end of your rope, Tie a know and hang on!! I think we have all had to do that at least once or twice in our lives. This Country and Western primitive piece measures approximately 6" x 6". It has a slightly textured surface which adds to it's charm. 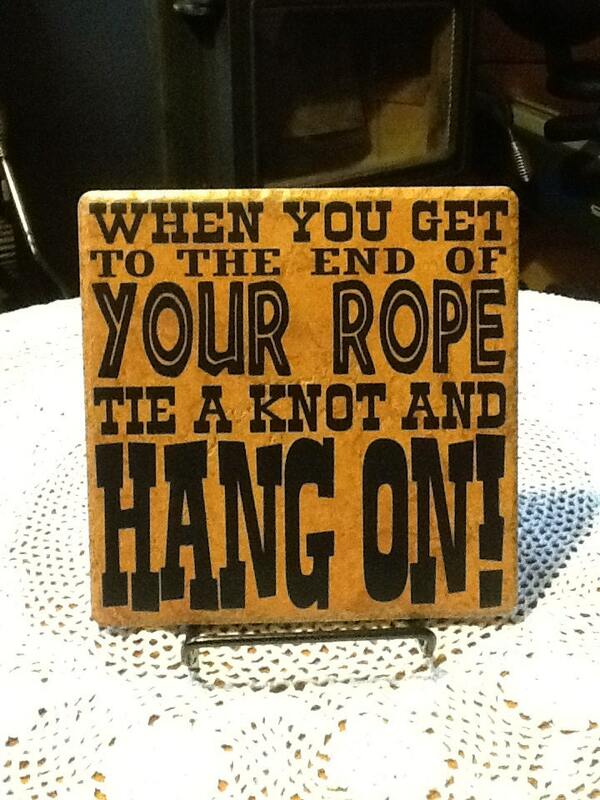 This whimsical piece looks great when displayed on an easel (not included). For decorative purposes only. 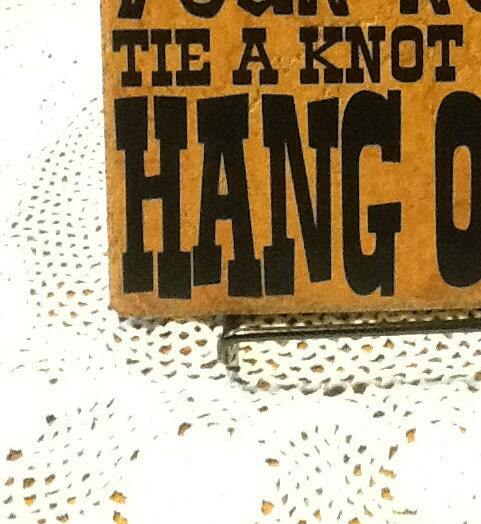 Perfect for Country, Primitive, or Southwest decor or for anyone with a sense of humor!